Unleashed 5 is happening next week and it’s going to be crazier than ever! Click here to find out how you can score passes to the biggest Wet party happening this time of the year! This entry was posted in Featured Events and tagged 2015, globe, Megatent, Partyphile, unleashed, unleashed 5, unleashed5, weedoo. Bookmark the permalink. This month is going to be epic at Chaos! 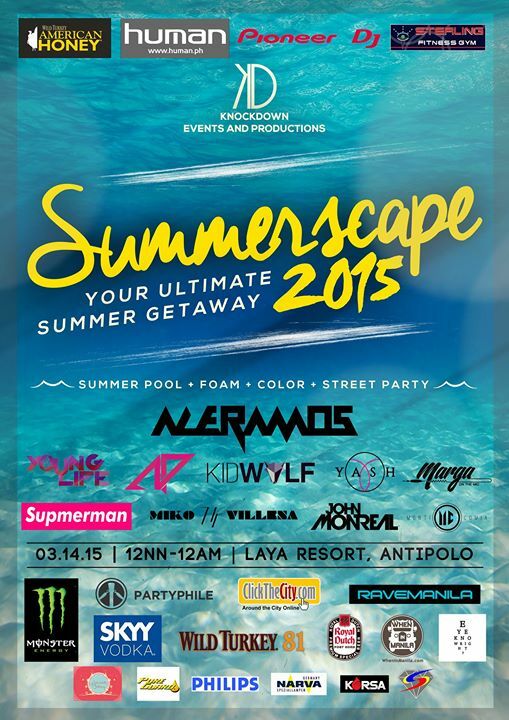 Here are the top DJs that you should watch this June in Chaos. Find out who they are here. This entry was posted in This Week's Hot Events and tagged 2015, Angger, Angger Dimas, Chaos, Chaos Manila, City of Dreams, Dimas, Dvbbs, Kleinenberg, OnePH, Sander, Sander Kleinenberg. Bookmark the permalink. Passport? Check. Clothes? Check. Gadgets? Check. Dignity? Still intact. Looks like someone’s ready to head on over to Boracay! Still clueless on which parties to attend when you get there? Well Google no further because we’ve got you covered! 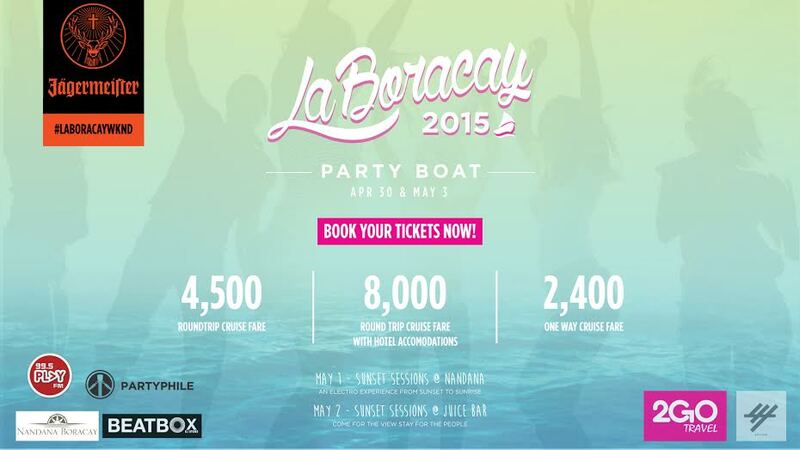 Here’s a list of fun, EDM-filled events to make your LaBoracay experience this summer a memorable and Instagram-worthy one. This entry was posted in Events, Featured Events and tagged 2015, Boracay, edm, labor day, laboracay, Party, Partyphile, rave, the tides. Bookmark the permalink. This entry was posted in Events, Featured Events, Party Photos and tagged 2015, ave, edmr, Event, pangaea, Partyphile, VIP Night, vipnights. Bookmark the permalink. Bored at home? Running out of summer activities to do? Or do you still have school even though it’s already April but you still wanna have a good time? Well, we got you covered! PJMA gives you Blackout: Andromeda this saturday, April 11, 2015, at Forum 3 of PICC! This entry was posted in Events and tagged 2015, blackout: andromeda, edm, Party, picc, pjma, rave. Bookmark the permalink. You’ll never believe how easy it is now to get passes and entry to the hottest, wildest, and most amazing party in Manila this month. We’ll give you a rundown on the what you should do to get easy access to this upcoming party. 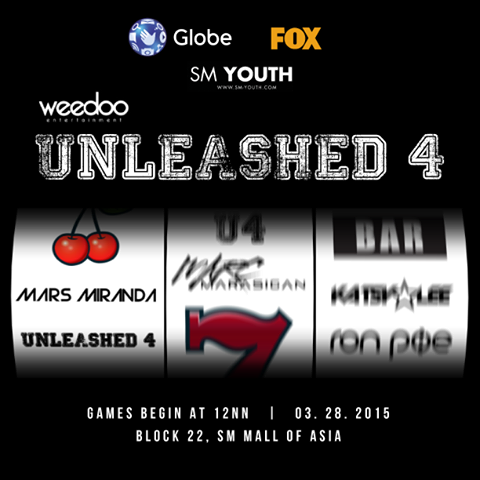 It’s time to start the countdown and mark your calendars because UNLEASHED 4 is happening on March 28, 2015 at Block 22, SM Mall of Asia! This entry was posted in Events, Music and tagged 2015, events, guestlist.ph, manila, Party, Partyphile, partyphile app android, partyphile app ios, rave, unleashed 4. Bookmark the permalink. Are you tired of having the same old Friday night every week? Endless scrolling through Facebook, Twitter, Instagram, and you have nothing else to watch online anymore? If your answer is yes, then call your friends and head on over to Century City Mall Event Center tomorrow, March 13th, for ‘ALIVE: TOUCH THE SKY’! TGIF, Y’ALL! 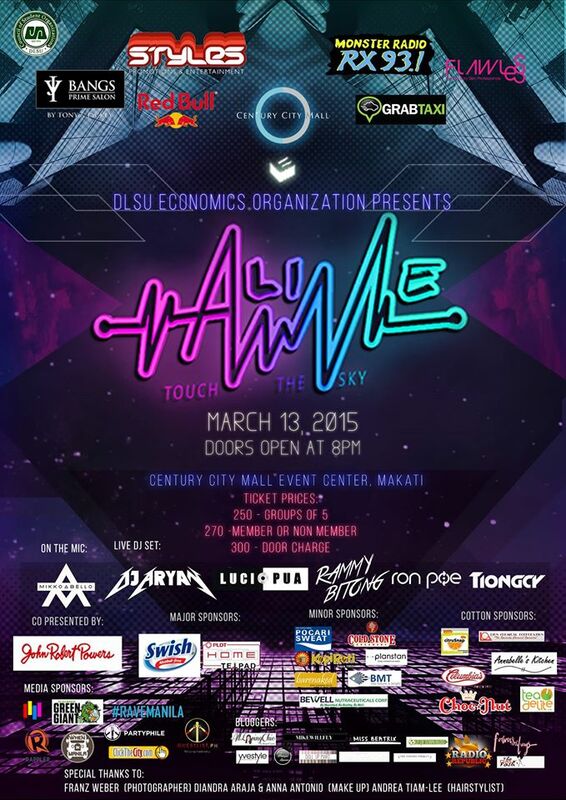 This entry was posted in Events and tagged 2015, alive, century city mall, edm, Event, guestlist.ph, Makati, Party, Partyphile, rave. Bookmark the permalink.